STEM® was founded in 2011 by Robert van Eerde as a “Hands On” Consulting company. The company was founded at that time because there was a clear need for support and guidance for the smaller independent hotel market who were struggling to survive due to a stalling economy worldwide. The company has since evolved in a hotel management company dedicating and specializing only in true boutique hotels. A first property was established in China where it is now busy and successful building a reputation in a new flourishing market. The company added to it’s profile in Miami Beach USA and aded a first property in Central America in 2018 in Belize and is now aiming to expanding in this area. The company intends not to create a huge corporate structure but a lean and affective one. The success relies on effective management at hotel property and to spread the costs as much as possible using the family of hotels as much as possible. To develop an international “true boutique” hotel management company, dedicated to optimizing financial success for all properties working in a clear and transparent manner with hotel owners. To develop and promote independently owned boutique hotels around the world. To achieve realistic maximum returns per hotel for stake holders. To manage available limited resources in a prudent effective way. To be pioneers in defining “True Boutique” worldwide as a hotel category. To create STEM™ customer awareness through quality, consistency and individual service. To always work “hands on” in an honest and transparent way with ownership and staff. Recognizing and interpreting owners own vision and input in their property. To have strong teams and management at each property. To establish an international recognizable quality Assurance program for boutique hotels. To ensure each property has it’s own heart and soul. To be an integral part of the local community and or area. Develop people as individuals, professionals and practice equality for all. To use portfolio of properties to the advantage of all family properties but keeping individuality. To enjoy, be proud and have fun in what we are doing with integrity. A real team player , an outgoing character but dedicated to his profession Maclean was spotted by legendary Hotelier Andre Balazs who parachuted him in to be task force general manager of The Standard Downtown in Los Angeles to . That was the beginning of a blossoming relationship and career within the Andre Balazs Properties organization. Responsible for the now famous Sunset Beach Hotel – Shelter Island plus being promoted to General manager reporting to the Senior vice President of Operations Alistair took on a host of projects including Serano Beach in Saint Barthelemy to assist the expansion of the company and ended up at the Raleigh On Miami Beach. After Miami beach GFI hotels targeted Alistair to be part of pre-opening team for their prestigious Nomad and Ace Hotels projects. Reporting to ownership preparing budgets, , marketing and PR strategies and being of full support to the management teams. Onto another part of the world in Madagascar where Maclean was approached to set up and establish the Antsanitia Resort on behalf of the owner. Fully responsible for this property it became number 1 on trip advisor and the hotel went from strength to strength. 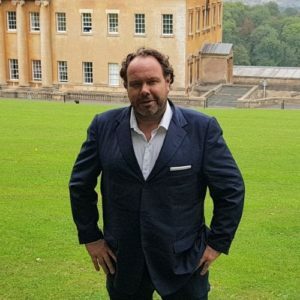 Using his wealth of experience in every type of hotel , using his languages Alistair decided to join the new STEM team in order to establish this niche boutique hotel management company. In his own words” With all that I have seen and done this seems a perfect fit being able to use all my experience to establish this exciting new company. The proud father of three is now based in Belize to oversee the Belize Ocean Club and the expansion plan in that part of the world. 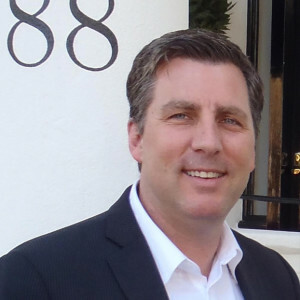 Nelson’s career on hotels started in 1997 in Miami Beach at a “True Boutique” hotel the Traymore now the Como hotel from where he developed into an experienced revenue manager. Working with smaller individual properties boutique hotels Nelson spread his wings and developed skills with larger hotel chains such Starwood , Choice and Wyndham hotels. Nelson career blossomed to working with Price Line where he became a regional manager responsible for properties all over the Caribbean , south America and Florida before moving to Trust Hospitality where he took the position of VP of revenue management. Nelson is now part of the STEM® team developing and expanding the company managing revenue for all properties . 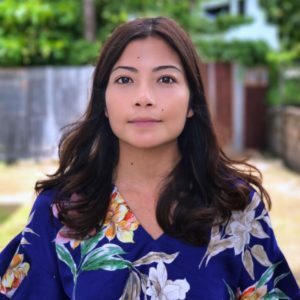 Julie a native Belizean having a graduated from the University of South Florida in 2008 has a wide ranging experience in travel and boutique hotel business and working for non profit organizations. Julie’s study in mass communications started by working for non- profit organizations raising grants and generating funds before returning to Belize working for the national airline of Belize . Here she followed a path of growth starting as a customers account manager to Director of Sales. Julie has worked here own business working with various boutique hotels and is now part of the team expanding the company in central america focusing on sales and travel trade and the local corporate market in which she is intimately involved . Julie is currently also part of the local on site sales and marketing team at the belize Ocean Club in Placencia . 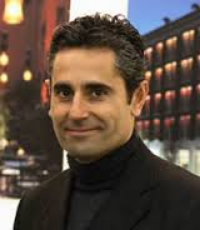 A Spanish-American national, Juan is a second-generation hotelier, attained his Bachelor of Science degree from Les Roches International School of Hotel Management in Switzerland in 1990 and has developed his career into a “True” boutique hotel specialist. Juan Palmada began his career in hotel operations and marketing, working at world-renowned independent boutique hotels and resorts, commencing at the Hotel Condes de Barcelona , the very first true boutique hotel in the heart of the city in the heart on the glamorous Paseo de Gracias Boulevard. The Palmada family had ownership in both hotels Condes and the five star Grand Hotel Havana and Juan oversaw Food & Beverage before moving into Corporate Sales . NH Hotels witnessed his dynamic and potential and was subsequently appointed GM at Les Corts Barcelona NH Hotels, a global brand with over 100 urban and leisure hotels. Juan gained further Resort experienced in Puerto Plata, Dominican Republic with Victoria Hotels & Resorts where he was responsible for the pre-opening of the beautifully appointed Playa Dorada Hotel. New York City was the next step in developing an international career taking the helm of all International Sales and marketing for a unique luxury boutique hotel , the Kimberly in the heart of midtown east plus working with various restaurants in the city assisting them with their profiles and marketing . He gained his excellent sense of the boutique hotel global marketing at Epoque Hotels, a worldwide lifestyle hotel luxury marketing brand company founded by Juan on 2002 directed all aspects of the company’s operations, strategic planning, recruitment, finance and branding. The Company grew from a start-up with virtually no financial backing, to over 250 hotels, 35 multilingual staff and offices in Miami, New York, London, Milan, Barcelona, Beijing and Kuala Lumpur, establishing itself as one of the leading soft brands of boutique hotels. Epoque Hotels developed its own Online booking engine software (EHBOX) and its own private label GDS code (EP), Juan organized various hotelier conferences, as a speaker at different conferences worldwide. Shifting his focus on the other side of the Atlantic, since 2015, Juan returned to Barcelona, becoming Managing Director of The Montanya Hotel & Lodge. A sprawling five hectares resort and a famous spot for the FC Barcelona team. Juan had decided to return to his home in Miami to develop the STEM® mission in expanding the company bringing his vast experience of business development and sales and marketing to the team. A German National, Stefan graduated from the University of Tübingen and Florida International University in 1997 with a teaching degree. He worked as both a linguistic and literature lecturer at the University of Miami and simultaneously completed his MBA in International Business there. Prior to entering the hospitality world, he was a financial consultant for various small and midsize businesses in the Greater Miami area. Stefan’s hospitality career took off in 2003 when he began working for some of the world’s leading cruise lines. As a senior manager within the onboard hotel departments for over 4 years, Stefan managed within the hotel department on various Princess and Cunard vessels sailing internationally. He devised and implemented onboard marketing strategies and ensured adherence to corporate policy and procedure. He was in charge of preparing complex financial reports for onboard and shore-side senior management and regularly conducted performance audits of fleet-wide hotel personnel. After returning to hotel operations on land, Stefan embarked on a new challenge by helping establish front of house policies and procedures for Gansevoort South Beach, a $500 million condo hotel project in South Beach. Along with Robert van Eerde, principal of STEM™ Hotels, he was part of the opening team for the 334-room property and, over the course of four years, worked as both Front Office Manager and Director of Operations. In 2011, Stefan joined STEM™ Hotels and followed his true passion of working on boutique hotel projects worldwide. He was instrumental in the creation and operation of six high-end properties for the Qatari Royal Family in Doha: Souq Waqif Boutique Hotels. He functioned as opening GM for three of these properties and, amongst others, was tasked with managing the pre-opening of Qatari-owned Adria Hotel in London, England. 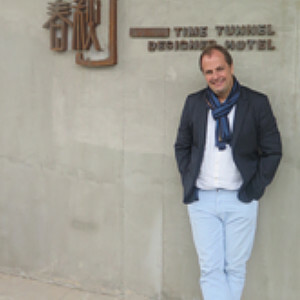 Shifting his focus further east since 2013, Stefan was a key player in turning a small courtyard property, Red Wall Garden Hotel, into Beijing’s Number 1 Hotel as rated by Tripadvisor. Whilst in China he was involved in numerous other projects building up his Chinese experience in particular getting hotels off the ground. Michael a Chinese National who studied business studies in London and later worked for many years in Europe before returning to his home city Beijing, in the PR of China. Michael has a wealth of experience focusing on business development after having worked in hotels in various positions but this clearly became his forte over time. Working on behalf of owners and particularly with Epoque a boutique hotel representation company now based in Kuala Lumpur that Michael build up his own vast network of people, government agencies and hotel owners all over China. For over 5 years. Michael was very much responsible for the success of expanding Epoque in China. Michael managed to expand the Epoque network to just under 30 boutique hotels throughout China, Hong Kong and Taiwan. 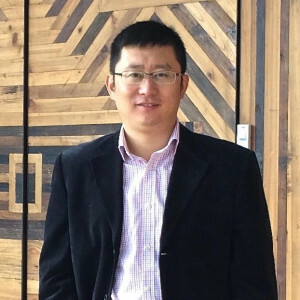 During this time Michael’s skill and ability in creating warm fruitful relationships by combining and interpreting his knowledge on successful Western business practices and tying those in with Chinese business culture is second to none. Michael decided to be a “non- executive” Director with STEM® in China in order to develop this skill and to be part of something new and exciting looking ahead of the booming boutique hotel business in China. Michael vision of a “True Boutique” hotel management in his native country he sees as an amazing opportunity he wants to explore. Michael is adamant to be part and parcel of the inevitable continuous growth of boutique hotels and wants to be ahead of most others. Michael was invited to STEM® to build the business in China not only because of his amazing business ability in working with different cultures building successful hotel businesses but also because Robert and Michael have a very similar outlook in life. They both regard this as a key ingredient in true boutique hotels culture and very much part of success. A Dutch National graduated from the University of Sussex in 1987 (formerly Brighton Polytechnic), Robert van Eerde started his hotel career by doing spells as a chef, waiter, steward and front office clerk throughout India, UK, Ireland and Belgium before taking his first GM position in 1992 at age 28. Robert founded STEM™ in 2010 as there is a clear need for boutique hotels to have professional support. The company has numerous projects around the world , Middle east, Far east, Europe and USA and is also a partner/owner of a hotel Operating Company Hspot Hotels in China. The Clarence Hotel, Dublin Ireland General Manager for 5 years for 5 star boutique hotel owned by Bono and the Edge of the rock band U2. The Clarence garnered top accolades under van Eerde’s leadership, including recognition as one of The Leading Small Hotels of the World and many prestigious awards, such as inclusion as one of the “top 15 Boutique hotels in Europe” by Travelers magazine. The Standard, Miami Beach Florida Regional Director of Operations for maverick hotelier Andre Balazs for 2.5 years. 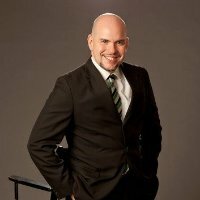 Robert served as on site GM for The Raleigh and opened and established The Standard, Miami Beach, a pioneer contemporary Urban Spa which was awarded the Conde Naste Readers Choice Award as Best Spa Hotel in the Americas and the Caribbean for 2009. Carnegie Club at Skibo Castle, Highlands Scotland General Manager for 5 years of very exclusive 7500 acre, 50-room resort with two golf courses, clubhouse, spa and extensive country pursuits. Executing on the vision of legendary entrepreneur, Peter de Savary. The Gansevoort South, Miami Beach Florida Managing Director of a startup $500 million condo hotel project in South Beach, overlooking the Ocean. He successfully opened the 334 room multi-purpose property in late 2008 before leaving to begin developing STEM LLC. The Almenara Golf, Hotel and Spa, Andalucía SpainOpening General Manager for a startup 125-room property with multiple F&B outlets, health club, 2 golf courses and golf academy. Marina Club, Abu Dhabi, UAE General Manager for an exclusive member-only, boutique resort on the Persian Gulf.